CTI is a technological leader in the design of innovative, industrial grade, human to machine interface solutions. Over 20 years of modular design technology enables a rapid custom design process using a wide array of standard sub-assemblies. CTI’s innovative custom designs have enhanced the limitations of the “standards” to produce devices and OEM products that are unique in their capabilities. CTI is also readily compliant with Military and Medical industry standards (e.g. 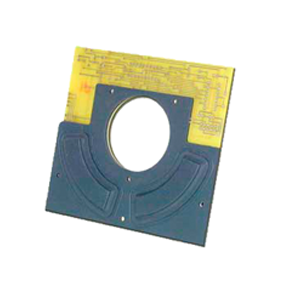 MIL-I-45208, MIL-STD-2000, MIL-STD-461, MIL-STD-810F, MIL-STD-883, UL 60601-1, IEC 60601-1, JIS T 0601-1, IEC 61320, BS EN 60601-1) for the development of electrical components. 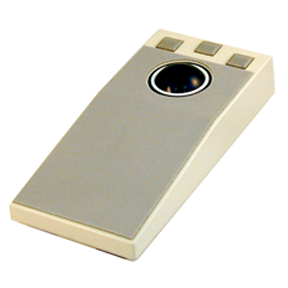 CTI manufactures standard and custom input devices such as switches and industrial keypads. These input devices are available with full travel keys, molded silicone rubber (elastomer) keys or with membrane switch technology. Molded elastomer switch assemblies provide a NEMA 4 (IP66) sealing and use a rigid printed circuit board with gold plated contacts rated at 10 million operations. The assortment of custom switches and keypads can be combined with CTI’s industrial pointing devices and enclosures, or used in fully custom applications (e.g. numeric keypads, pushbutton switches, mouse keypads). 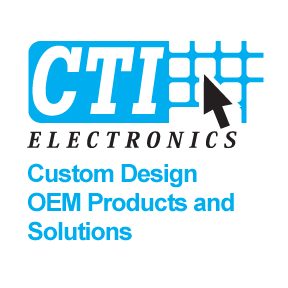 CTI Electronics manufactures standard and custom designed USB input devices and pointing devices; such as USB protocol converters, USB FlightSticks, and USB industrial keyboards. These USB devices use molded silicone rubber (elastomer), providing NEMA 4 (IP66) sealing, and rigid printed circuit boards with gold plated contacts rated at 10 million operations. Elastomer options include color, custom legends, and back-lighting (illumination). CTI will custom design for your specific application(s). From initial product concept through the design, prototype and production life cycles, CTI will bring your real world products to life. 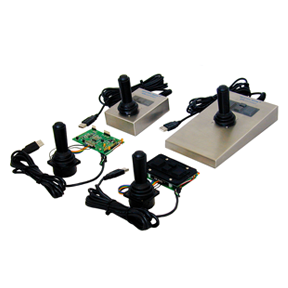 CTI Electronics manufactures standard and custom designed joysticks with NEMA 4 (IP66) sealing. 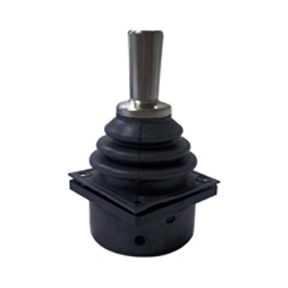 A number of color, molding and material options are available to ensure the ideal industrial joystick for your application's specific needs. From initial product concept through the design, prototype and production life cycles, CTI will bring your real world products to life. CTI offers form, fit and function analog joystick controllers to be used with the Compumotor 6000 Series programmable motion controllers. 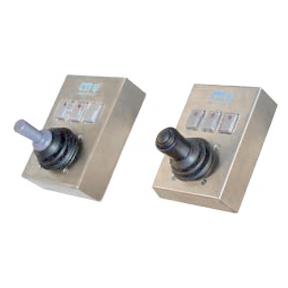 The combination of a low-profile joystick knob and momentary/latching switches with LED indicators makes this pointing device the ideal choice for harsh, wet environments or low-light, limited space applications.